The Cossack organization of Adygeya is pushing for the introduction of Cossack patrols in the republic like those in neighboring Krasnodar region. Circassians in Adygeya, however, are against the move, fearing the Cossacks will gain disproportionate power in the republic. 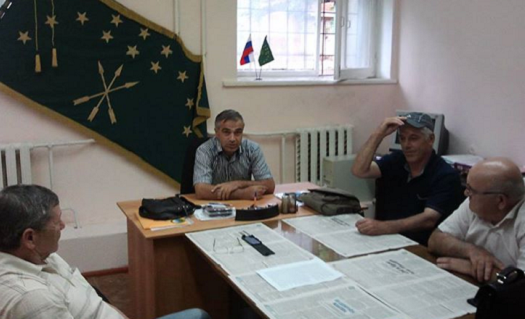 “When a Cossack patrol steps onto the territory of Adygeya, it will be the start of a catastrophe without an end,” said Zaurbiy Chundyshko, chairman of the Circassian organization "Adyghe Khase - Circassian Council" in Maikop, Adygea’s capital (Kavkazskaya Politika, August 11). Circassians associate the Cossacks with the bloody conquest of their homeland by Russia in the 19th century, when Cossacks often spearheaded Russian advances in the North Caucasus. The Russian government highly prized the Black Sea coast, deeming it strategically important. After the tsarist government took control of the northwestern Caucasus, it expelled nearly the entire Circassian population from the region, especially from the coastal areas. Adygea is the westernmost republic of the North Caucasus, and Circassians comprise only about quarter of its population. Several Circassian organizations appealed to Adygea’s parliament not to pass the law on Voluntary People’s Squads (Dobrovolnaya Narodnaya Druzhina). Even though the law is general, only the Cossacks are expected to benefit from it. The authors of the appeal pointed out that Adygea is one of the quietest places in Russia and, therefore, there is no need to provide a backup for the police forces. A federal law about Voluntary People Squads was passed in 2014, but regional authorities decide for themselves how they want to implement it, the activists wrote. 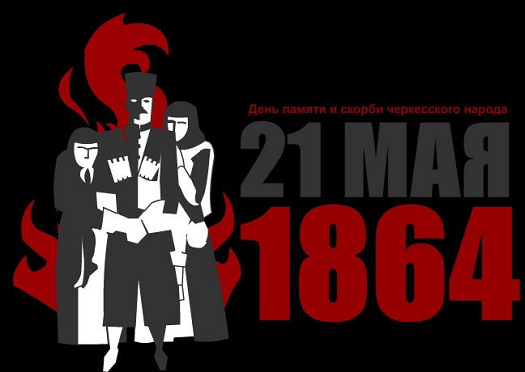 “Today, you have the opportunity to keep the republic and the region stable and to prevent a split in society, to show common sense and avert the looming conflict in the republic,” the appeal read (Circassiatimesrussian.blogspot.com, July 29). 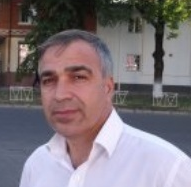 Another Circassian activist, Arambiy Khapai, who is a member of "Adyghe Khase - Circassian Council" in Maikop, said in an interview with the Kavkazskaya Politika news agency that budget resources should not be spent on additional volunteer forces. The police in Adygea already have 5,000 servicemen under their command, which is a sufficient number for carrying out their duties, according to Khapai. Another Circassian leader in Adygea, Adam Bogus, advocated for a more lenient approach that envisaged setting up Circassian groups of volunteers that would patrol the streets alongside the Cossacks. According to Bogus, the Cossack organization in Adygea had formed a group of 130 people that had undergone training and security checks for taking up patrolling positions, despite Circassian opposition. The puzzling insistence of the Russian government on introducing Cossack patrols in Adygea can be explained easily when the government’s previous steps are examined. The Cossack organization of Adygea is part of the so-called Kuban Cossack Military Force (Kubanskoe Kazachye Voisko). Before the government started to push for the Voluntary People’s Squad in Adygea, the Cossack organization of Adygea had 400 members. After the government apparently started to provide funding, the Cossack organization of Adygea’s membership swelled to 4,500. Anyone can volunteer for the Volunteer People’s Squads, but the Cossacks who are funded by the government are apparently much more likely to do so than others who do not receive government funding (Kavkazskaya Politika, August 11). Moscow seems to be betting on the Cossacks as a force that will anchor the ethnic Russians in the North Caucasus and prevent the region from slipping out of its control. In order to achieve this, the Russian government is pumping money into the so-called registered Cossack organizations that are supposed to reassure ethnic Russians and put psychological pressure on the Circassians and other North Caucasians. The notorious nationalist governor of Krasnodar region, Alexander Tkachyov, introduced Cossack patrols in his region several years ago. At the time, Tkachyov made no secret of why the Cossack patrols were needed—to harass the non-Russian population, especially the North Caucasians, and create uncomfortable living conditions for them. Tkachyov thought that the police were too constrained in their actions by the Russian laws and that Krasnodar region therefore needed its own defense force against the North Caucasians—the Cossack brigades (Yuga.ru, August 2, 2012). Now, it appears that the authorities want to spread that practice to Adygea, which is surrounded by territories that are under administrative control of the Krasnodar region. The government’s push for Cossack volunteer patrols in Adygea that are on its payroll also indicates how increasingly instrumental it is for the authorities to use the “Cossack” label. Nowadays, anyone can be recognized a Cossack if they carry out the Russian orders for pay. A hundred years ago, the Cossacks had a special social status that gave them privileges in exchange for defending the Russian Empire and advancing its conquests. Today, Moscow is attempting to use the old institution of conquest to reconquer the North Caucasus. Moscow’s gamble, however, comes into conflict with the very foundations of the modern state and is likely only to antagonize the North Caucasians even further.